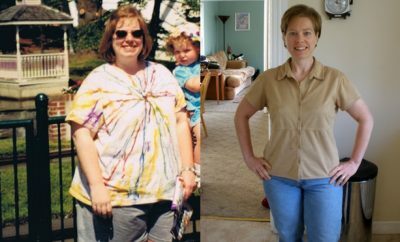 Sara: I struggled with my weight my entire life, even as a child. My parents went through a divorce, and I turned to food for comfort and as a coping mechanism. I really started gaining in my 20s. 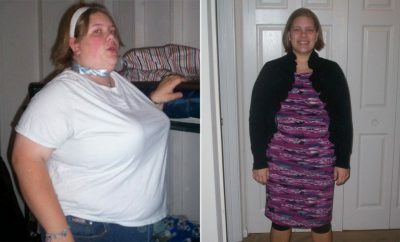 After I got married, I put on 100 pounds or so, and just continued to use food as a way to deal with my emotions. Nancy: I’ve never known life not being obese. Even as a small child I was overweight. We were very poor and lived on a farm. Everything we ate was from the farm, which you’d think would be healthy, but my mom liked to fry everything. I learned bad eating habits from a very young age and consider food an addiction. I started using food to medicate my perceived shortcomings. 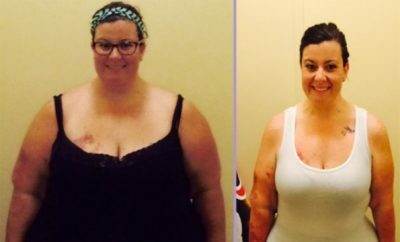 I found myself weighing 365 pounds at the age of 35, but I came from an overweight family, so I thought that was just how it was supposed to be. Sara: I had started to develop some health conditions. I was using a machine for my sleep apnea when I woke up one morning, looked at my daughter and just burst into tears. I had had this horrible dream that she saw me at my funeral. I knew in that moment I had to make a choice: I had to change or I wouldn’t see her graduate from high school. I had to be there for her. How We Met: We started our journeys around the same time. We met at a local gym, and for a while we were just acquaintances. But we were both very large women, and even when we didn’t talk to each other much, we were on each other’s radar and watching each other’s progress. 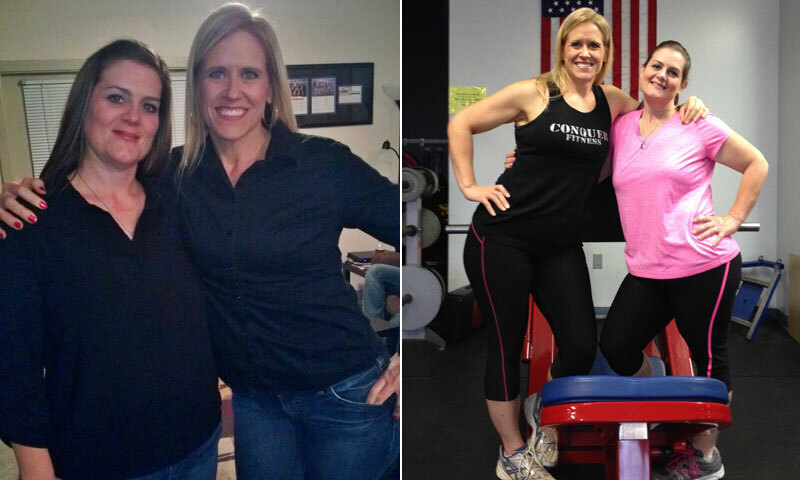 Our relationship started getting stronger and stronger, and after our two trainers left that big-name gym and opened their own gym, we started getting closer and becoming more of a support system. 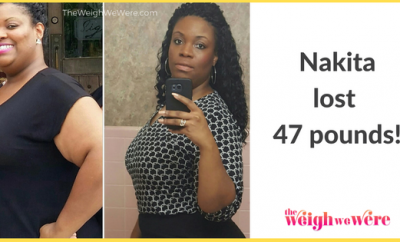 Sara: I went from fast food every day to eating all-natural. I eat lots of fruits and vegetables and lean proteins like chicken and fish, and I exercise five to six times a week. I love it, I love the way it makes me feel. It’s a habit for me now. Nancy:We also started using MyFitnessPal, which has really helped me maintain my weight loss. I don’t think that could have been possible without it. Sara: We leave each other comments to help encourage each other, we make our diaries available for the other to see. We share things pretty openly on the app, so we’re able to support each other that way. Sara: Just walking across a room was hard to do before. Now, I love running. I’ve done several events, including a half marathon and some obstacle course events. I’m doing bodybuilding now. It’s a huge accomplishment that makes me feel wonderful to be able to do things I never thought were possible. I can remember flying on an airplane and taking up two seats and having to use a seatbelt extender and the embarrassment of that. I love going to the movie theater, and there was a point where I couldn’t do that. Nancy: Knowing she is there and that she understands me. When I’m not at the gym, she’s asking why. She’s not afraid to call me out, and I know it’s from a pure place. Neither one of us has ulterior motives or anything to gain other than helping each other. I can’t tell you how many times I’ve seen her lift a certain weight, and it challenges me, in a good way. It’s just been priceless. Sara: We help motivate each other just by seeing each other. When I see Nancy, the smile on her face makes me feel better. I always know she’s going to say something to brighten my day. In those times when we do struggle, we make each other stronger.